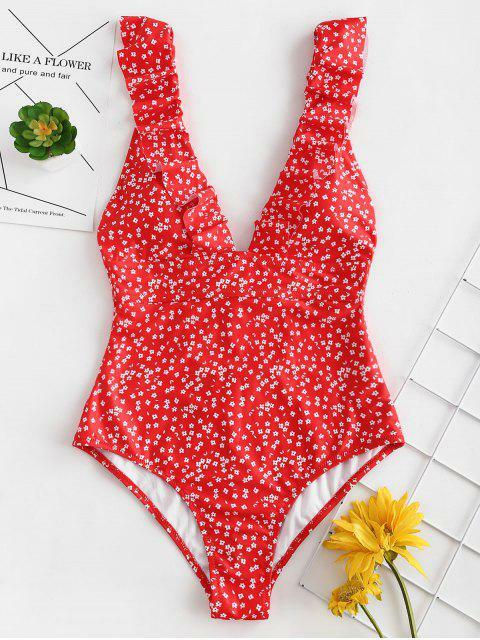 [29% OFF] 2019 ZAFUL Ruffles Tiny Floral One Piece Swimsuit In LAVA RED | ZAFUL .. 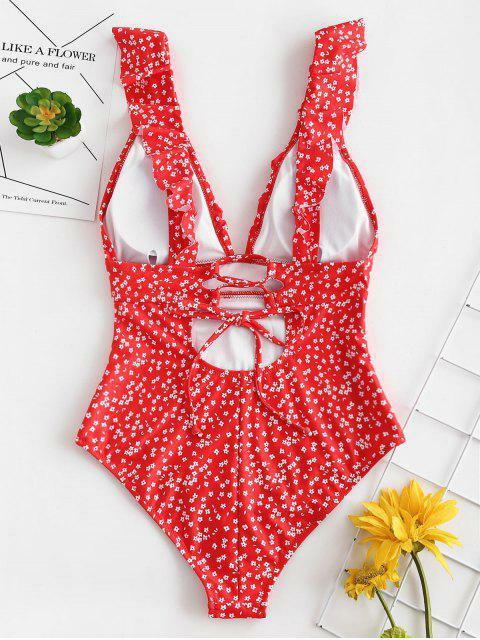 Comfortable and of fantastic material and super cute I love this bathing suit!!! A lot more low cut than I thought but still in love with the material and the look. This is gorgeous! Love the back detailing and can’t believe how good quality it is! 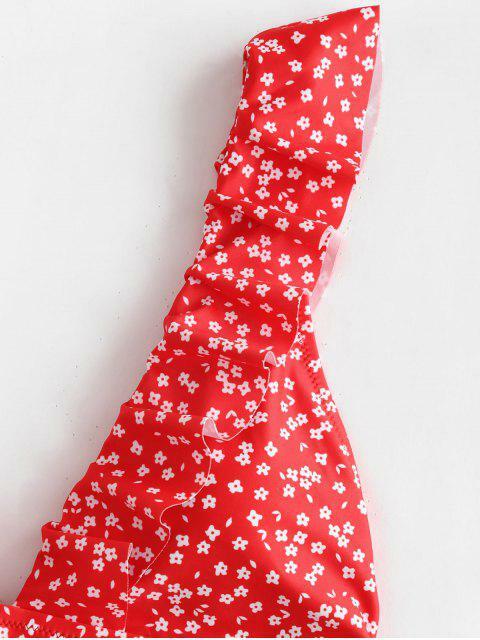 The one-piece is cut to a minimalist shape with a plunging V-collar that decorated with ruffles and completed with lace-up closure on the back. Sport a top knot and accessorise with oversized sunnies.